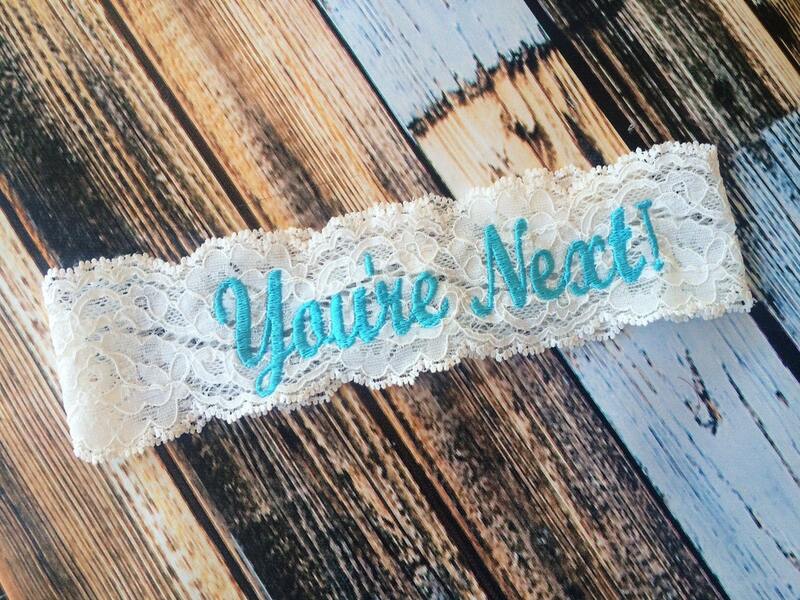 This Monogrammed Vintage inspired keepsake garter and a You're Next!™ Toss garter is one of our favorites! Perfect for an heirloom piece and garter toss! 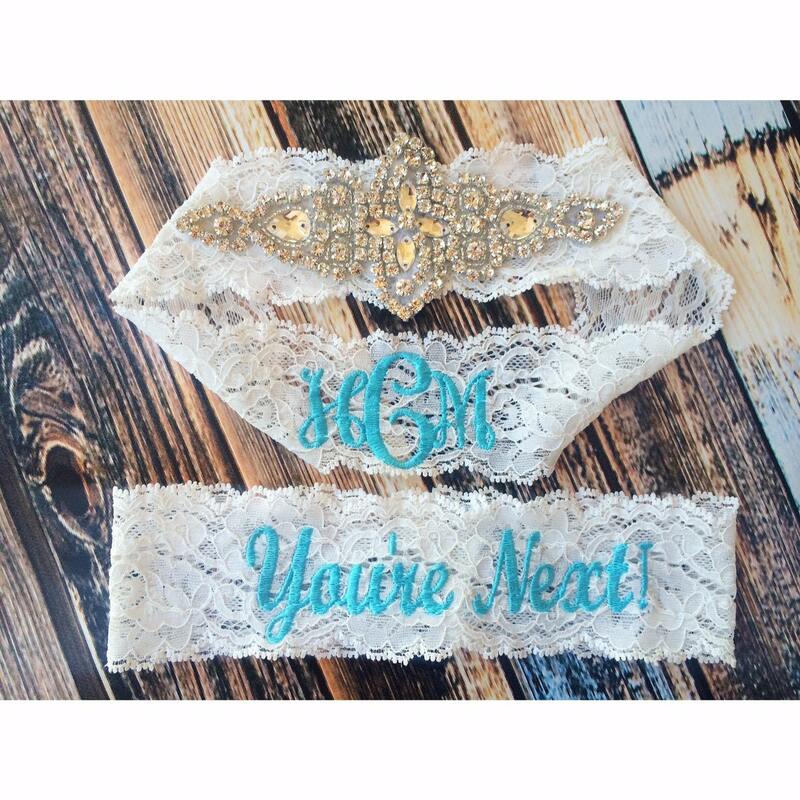 Choose from a single garter or garter set! Want another Color? Just ask! Stones are clear in silver castings. ***************PLEASE copy and paste the Monogram section below to the note to seller section and make sure you DOUBLE CHECK your spelling and initials as there are no returns on custom or wedding items. **Monogrammed garters or any other monogrammed items can not be refunded after 48 hrs of purchase date due to the nature of this item.